10 Steps to a Romantic Staycation (Aside from the Obvious Reason) - Choose Philippines. Find. Discover. Share. A portmanteau of stay-at-home and vacation, staycation is a holiday spent at home or nearby. It’s a perfect way to escape the demands of a busy workweek minus the cumbersome planning of an itinerary, the long hours of travel to the beach or to the mountains, and a day or two of tiresome activities. Of course, there’s nothing wrong with taking out-of-town trips, experiencing a different culture, enjoying thrilling adventures, and making once-in-a-lifetime memories. But, there are days when you just want to lie down in spacious bed in a fully air-conditioned room and wrap yourself like a burrito in a comforter with so and so thread count because you “cannot adult.” Am I right? For two nights, my girlfriend and I checked into a nearby luxurious hotel for what seems to be a monthsary gift from the staycation gods. It was three full days of pampering ourselves, pigging out, watching movie re-runs, napping, indulging in sweets, and sleeping. Because, most of the time, you don’t need to whisk away your significant other to a remote island to have a romantic getaway. 1) Book a room in a unique boutique hotel. Luckily, we got the Magical Suite and, not to be redundant about it, everything was just magical. Inspired by Moorish architecture, the room is adorned with curved arches, lamps, and other ornamental works of gold and silver. We were waiting for Genie so he can grant our three wishes but he's probably on a staycation himself. Aptly named the Nostalgic Suite, the second is a perfect for a throwback as it pays homage to the historic Magnolia factory of the 70s. Third is a glamorous Hollywood-themed suite dubbed as the Fabulous Suite, which is adorned with movie posters, luggage side tables, and a bathtub with a peek-a-boo view to the bedroom. Last is the Asian-inspired Divine Suite that offers a zen-like space to guests. 2) Prepare a nice bubble bath for you and your SO. For a more relaxing staycation, run a warm bath for him/her, put a few drops of lavender oil, light some candles, and plug in your loved ones favorite music. Aside from the rain shower head, the Magical Suite also features a bathtub with a TV screen. 3) Pamper him/her with a full body massage. If you can’t do this yourself, you can always hire a masseuse from Lunula Nail Salon and Day Spa, Summit's partner for massages and mani-pedi services. Lunula combines products that are carefully chosen with wide range of massage techniques to pamper and restore balance to both body and mind. They offer Swedish, Shiatsu, Traditional Hilot and Ventosa massages. 4) Go shopping (or window-shopping). They say that the best therapy is always retail therapy. Summit is the perfect spot for this as guests have a direct access to Robinsons Mall from 11:00 am to 9:00 pm. You can also think about your dream home and window-shop for a sofa set, kitchenwares, and your future bed. 5) Stay up all night…watching movies. Suites have two 42-inch flat screen TVs, one in the living room and one in the bedroom. Be sure to bring your external hard drive since the TV sets are equipped with USB ports, just in case there's nothing good on cable. Prepare your lineup of the best romantic movies of all time, such as "Casablanca" (1942), "When Harry Met Sally" (1989), and "Sleepless in Seattle" (1993), for a long and sleepless night. 6) Wake up to your favorite breakfast. Located at the first floor of the mall, Conti's provides the hotel guests' first meal of the day. Breakfast service is available from 7:00am until 10:00am daily. Conti’s is a growing chain of bakeshops and full service restaurants known for their delicious and innovative cakes, pastries, and take-out commissary items. Their extensive plated breakfast menu choices consist of Homemade Beef Tapa, Mom’s Garlic Longganisa, Daing na Bangus, Chicken Arroz Caldo, American breakfast, among others. These are served with freshly baked breads such as cheese/raisin/cinnamon swirls, mamonitos and dinner rolls and a choice of free flowing coffee, tea or lemonade. 7) Share a warm bowl of ramen. Offering the best ramen in town through ramen master Ikuta satoshi, the Ramen Nagi franchise reached the Philippines in 2013 and one of its newest branches is at the ground floor of Robinsons Magnolia. Upon entry, guests are given an Omotenashi Sheet for customizing their own ramen bowl. They have a no-takeout policy for leftovers so prepare your bellies. To protect you from splashes and drippings, diners are made to wear paper bibs which can double as doodle sheet after eating. 8) Relive your childhood and indulge in sweet treats. Some of us may have visited the old Magnolia facility and its ice cream parlor as part of our educational field trips as a kid. 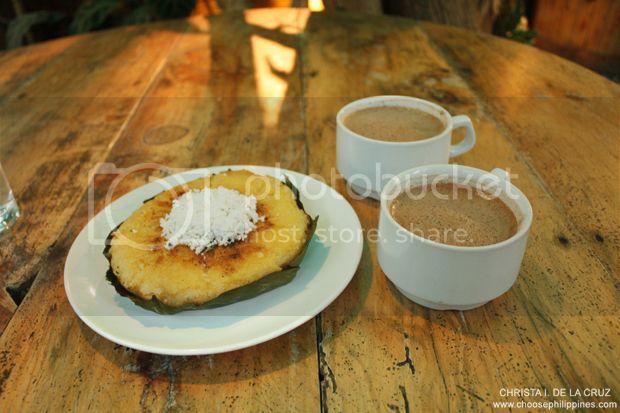 The Magnolia Flavor House located at the center of the mall brings back these sweet memories. Magnolia Flavor House is owned by Pierre Ching. 9) Exchange sweet nothings while enjoying a candle-lit dinner. Serving authentic Italian cuisine, Lombardi's at the second floor of Robinsons Magnolia is the second of its kind, the first being at Shangri-La Plaza Mall in Mandaluyong. Italian chef Davide Lombardi leads the kitchen in making fresh pizza and pasta dishes. Most of these are partnered with the chef's recommended wine to bring out the flavor in his creations. (Italian dumpling with meat and tomato sauce)? 10) Come up with a charming surprise. Sometimes, the sweetest gestures are those that are simple but well thought of. And the "corniest" ones too! I've always wanted to try lightpainting—or, at least, a basic version of it—but haven't gotten around to actually doing it. So, on the eve of our monthsary, I went to the living room with my DSLR while my SO is busy watching the primetime telenovelas. After a number of switching the lights on-and-off and a lot of moving around with a penlight, I was able to produce a decent image of an ILY and showed it to her. It's not much but she loved it, I think. Whether you're at the peak of a mountain, on a private beach, or just inside a hotel room, the best staycation is always that which is spent with your loved one for some quality time. Summit Hotel Magnolia is located at Aurora Boulevard cor. Hemady St., New Manila, Quezon City.